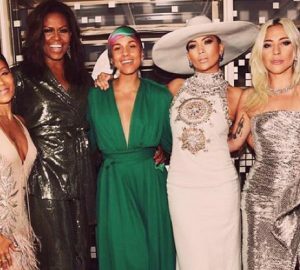 It's post Grammy's day and we all need a little red carpet recap! Below are some of the best-dressed girls in the business. Some of my closest friends donned outfits and ensembles that impressed me and audiences everywhere. Read on for the Grammy's best-dressed. First on my list is Cardi B in a 1990's Mugler dress brought out of the vault just for her. The drama! JLo wore a Ralph and Russo number complete with a hat. She's famous for her Grammy's looks and this one definitely takes the cake. Kylie accompanied Travis Scott in this pink look. Just when you think Miley's outfits have chilled out, she busts out these shoes. Love it, Miley! Dua Lipa in Versace, baby! Bebe Rexha made a statement wearing Monsoori. Lady in red! Looking incredible, Alicia! She was the hostess with the most. Proud of all the hard work she put into this event. Can we discuss this number on Camila Cabello? She looks like a star. Watching her performance was one of the highlights of my night. What do you think of my best-dressed picks? Let me know in the comments or tweet me @lorenridinger.